Al-Mawrid Australia is organising a nationwide tour of a famous Pakistani scholar Abu Yahya during April 2019. The tour details can be found on the following poster. Registration is now open to register for the events in various cities via the links given below (Registration is compulsory). Abu Yahya, a well-known Islamic scholar from Pakistan. He has authored numerous books including the best seller “جب زندگی شروع ہوگی (when life begins)”. This book has been translated into many other languages as well. More than hundred thousand copies of the book have been published so far. 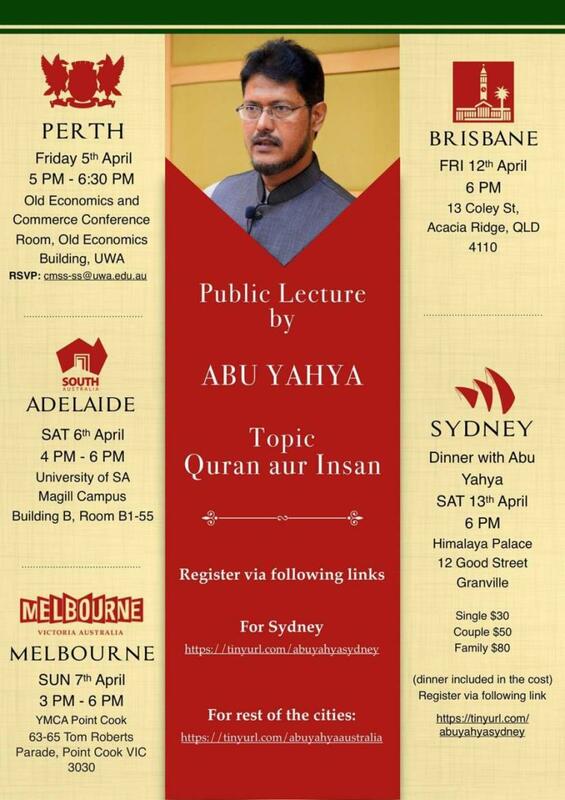 This is Abu Yahya's second Australian Tour.